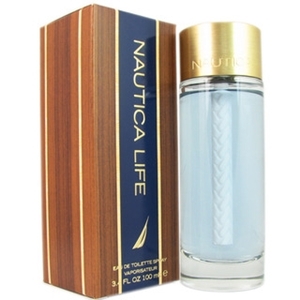 Nautica Life pays tribute to the lifelong journey of love. The fragrance starts with pure sparkling Living Sea Salt and Organic Ivory Coast Ginger for an invigorating splash of energy and balances a fusion of Natural Sage, Provence Lavender and Natural Violet Leaf to reinforce the masculine aura. The finish: classic notes of refined Hinoki Wood, Organic Tonka and marine Seamoss create a seductive sense of magnetism.